For whatever else may pose a threat to your vehicle's road performance, our knowledgeable auto specialists provide a number of other miscellaneous auto services. And because our work is guaranteed, you can rest assured that you're receiving the best workmanship possible. Let us know how we can help you! Contact us at 435-835-4869 to set up an appointment for additional quality auto services. Sometimes auto repair needs arise long after most auto repair shops have closed (most auto repair shops close at 6 pm). With after-hours drop off services, you leave your car at the mechanics shop for repair even if the shop has closed. You simply fill out an envelope, put in your keys, and drop it in a drop box. The auto shop will only contact you when your car is ready or when they need additional information. At Big G Automotive, we value your convenience and that is why we offer after-hours drop off services. A completed Drop-Off Form will help the mechanic diagnose any problems. Even if we have closed, you just drop-off your vehicle at our shop and our mechanics will work on it and contact you when it is ready. As a fleet owner, you have to do all it takes to keep the fleet on the road. When any vehicle is out of service, both revenue and your reputation as a reliable business are at risk. To make sure your fleet of trucks/vehicles is always on the road, partner with a professional auto shop. At Big G Automotive, we can manage your fleet repairs and maintenance. We make sure servicing is up to date and up to standards. We handle all aspects of fleet repairs and maintenance. In certain circumstances, auto shops offer pickup and delivery services. This is whereby the auto shop picks up the vehicle at your work place or home, works on it, and delivers it after it is fully repaired and serviced. This saves you time and money. The p/u and delivery service can be either free or paid for. At Big G Automotive, we offer free local pickup and delivery whereby we routinely pick up your car from your home or workplace. We want to make the task of having that car repaired/serviced as stress free as possible. This service is subject to appointment. A wheel hub motor, also referred to as a wheel motor, is an electric motor incorporated into the wheel hub and drives it directly. You can have a safer and smoother ride today by replacing your warped and worn out wheel hubs. Let Big G Automotive replace your worn out hubs today. Properly working seals provide oil and grease sealing - offering enhanced performance in a wide range of temperatures and environments. Worn out or warped seals allow external contaminants to enter the bearing unit or let lubricant escape from the unit. This ultimately leads to premature failure of the bearing unit. To keep out contamination and retain lubricant in the bearings, have the seals replaced with new ones. To have the seals replaced by experts, contact or visit Big G Automotive today. Studs are the threaded fasteners that hold on the wheels of your truck. The wheel studs are permanently mounted on the wheel hub through the brake disk or brake drum. To secure the wheel, nuts (lug nuts) are fastened over the stud. Stripped wheel studs can be quite dangerous. Damaged wheel studs should be replaced with new ones immediately. To have your truck's wheel studs replaced with high quality ones, call 435-835-4869 or visit Big G Automotive today. A wheel nut or lug nut is a fastener for securing a wheel on the hub. A set of lug nuts are used to secure a wheel to the threaded wheel studs (which are fixed to a wheel hub). Worn out nuts means one thing - the wheel is not fixed securely on the vehicle which puts the vehicle at the risk of rolling over. To have your truck's wheels securely fastened to the hub, contact or visit Big G Automotive in Manti, UT 84642 today. An extended warranty (also known as a service contract) can provide peace of mind to most car buyers. The warranty (or service contract) kicks in after the usual manufacturer warranty has expired. An extended warranty covers major breakdowns and evens out the cost of repairs. Unfortunately, not all auto repair shops accept extended warranties. At Big G Automotive in Manti, UT 84642, we accept most extended warranties. We let you use the service contract to save on auto repair costs. Welding is the fabrication and sculptural process that joins metal parts. At Big G Automotive, we offer various welding services. Simply give us a call at 435-835-4869 or visit our shop in Manti, UT. Do you have a passion for speed and performance? Performance modifications on your car let you attain high levels of speed and performance. This type of modification involves changing or completely replacing some of your vehicle's parts with high performance ones to boost its performance and speed. Mechanics at Big G Automotive have a passion for performance too. The mechanics will make all the necessary performance modifications to ensure you get the best performance from your drive. For all your performance modification needs, contact us at 435-835-4869 or visit Big G Automotive today. Are you planning to buy a new car? Don't take chances. Be confident about the car you are buying. Have pre-purchase inspections performed on the vehicle. Pre-purchase inspections involve examining the car's condition to ensure it is worth buying. At Big G Automotive, we have pre-purchase inspection experts - mechanics who will scrutinize any car, make, and model and allow you to make an informed decision. Pre-purchase inspections will definitely give you peace of mind when you buy your next used car. A pre-trip check up can make the difference between a safe trip and one that ends in a tragedy. The inspection aims at looking for possible defects and potential mechanical problems that could cause disaster. Before embarking on a trip you should make sure your car is fully inspected for safety. You can rely on the experts at Big G Automotive. We have pre-trip inspection experts who are able to conduct safety inspections on any car, make, and model. Our experts are dedicated to ensuring you have a safe trip. Simply drop by or give us a call at 435-835-4869. Having issues with your recreational vehicle? Do not take your RV to just any mechanic. Rely on a professional only - a person/auto shop like Big G Automotive that has a track record dealing with recreational vehicles. For all your RV repair and maintenance needs, contact or visit Big G Automotive today. At Big G Automotive, we have qualified mechanics that have extensive experience repairing and servicing RVs. Although a trailer does not have an engine of its own, it does require some maintenance. The trailer needs wires to move current to the brake lights and other lights at the back. Big G Automotive has qualified and experienced electricians who will handle your trailer maintenance. Call us at 435-835-4869 to schedule an appointment. Wheel bearings are found inside of wheels, allowing the wheels to spin freely, and are connected to the brake system. They can become worn over time, causing a vibrating suspension and noisy rubbing as the car is driven. If they break completely, the vehicle will become very difficult to control and unsafe to drive. Replacement interval for wheel bearings varies greatly, but they should be checked for leaks and wear periodically. 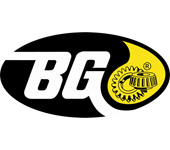 Big G Automotive can make sure that your bearings are in good shape and let you know if they need replacement.